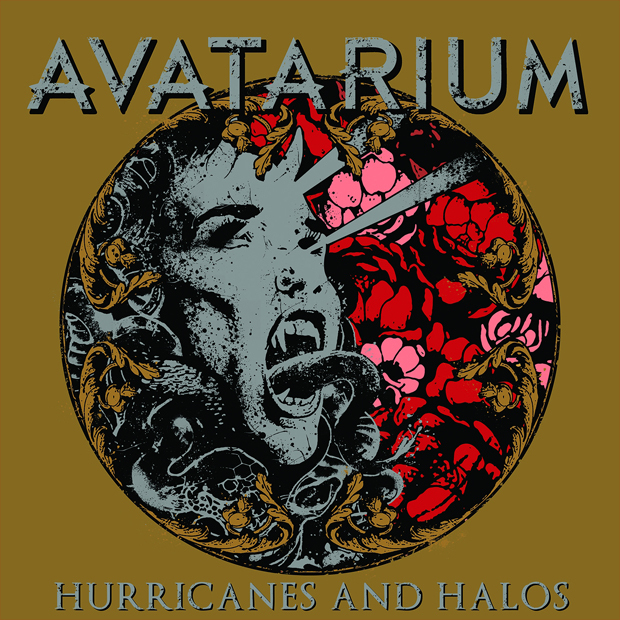 Swedish metallers Avatarium, fronted by Jennie-Ann Smith, are ready to launch their third full-length opus titled Hurricanes and Halos via Nuclear Blast. Founded back in 2012’s by Soen’ guitarist Marcus Jidell and Candlemass’ mainman and bassist Leif Edling, Avatarium completed their line-up with keyboardist Carl Westholm, known for his work with Carptree, Krux and Jupiter Society, and drummer Lars Sköld of Tiamat, beside already mentioned Jennie-Ann Smith. On their third album, Avatarium successfully blend their love for Progressive/Hard Rock, Heavy Metal and Doom Metal, along with a hint of Psychedelia. Kicking off with a powerful “Into the Fire – Into the Storm,” Avatarium fires on all cylinders; Jidell’s guitarwork together with Westholm’s Hammond organ and Smith’s powerful vocal exectution make for a great start. Jidell and Westholm go a step further in delivering masterful solos, often backing each other. “The Starless Sleep” is another fan-favourite, which has all the potential to be heralded as one of the band’s classic tunes. It’s convincing and catchy with a beautiful transition between the verses and chorus. “Road to Jerusalem” is stripped down; it comes forward with a haunting acoustic guitar strumming, and psychedelic electric guitar making the song’s atmosphere rather fuzzy. Near the end it takes a bit more classic approach in the arrangement. “Medusa Child” is a nine-minute slab of doom with unpredictable shifts between heavy rocking and more streamlined prog influences, along with another journey to psychedelia in the middle of the song. “The Sky at the Bottom of the Sea” returns to the realm of classic Deep Purple-inspired mode, keeping the same approach on the impending ballad “When Breath Turns to Air.” Smith’s voice graces the instrumentation which is rather simple and works for enhancing Smith’s amazing performance. “A Kiss (From the End of the World)” kicks off with Jidell’s masterful performance on acoustic guitar somewhat reminiscent of Steve Howe’s work, but the song makes sure not to lull you in, as the full band kicks in along with Jidell’s hard riffing hammering you down. Jennie-Ann is on top of her game once again, it’s astonishing with what kind of ease she changes the overall mood of the songs on the record. Finally the closing title song is an atmospheric instrumental piece, a tune that brings Hurricanes and Halos to an end with a style. Hurricanes and Halos is a true musical adventure, the diversity on this record is crucial to replaying it over and over again. The instrumental performances are top notch as always, with each band member’s contributions feeling crucial. Jennie-Ann Smith’s voice has never sounded better, she is the absolute highlight of the record. Hurricanes and Hallos is out on May 26 via Nuclear Blast; pre-order it here.